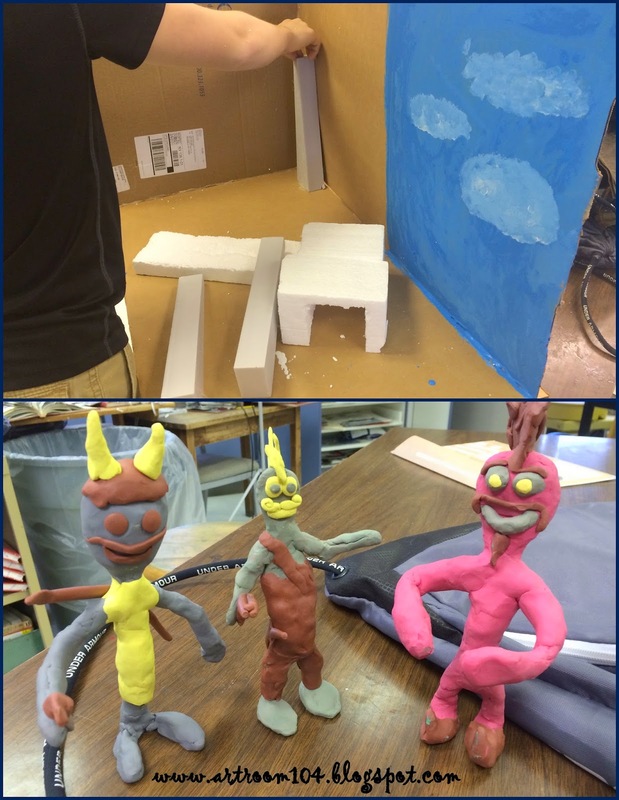 Students in my sculpture class designed these movies from the ground up. 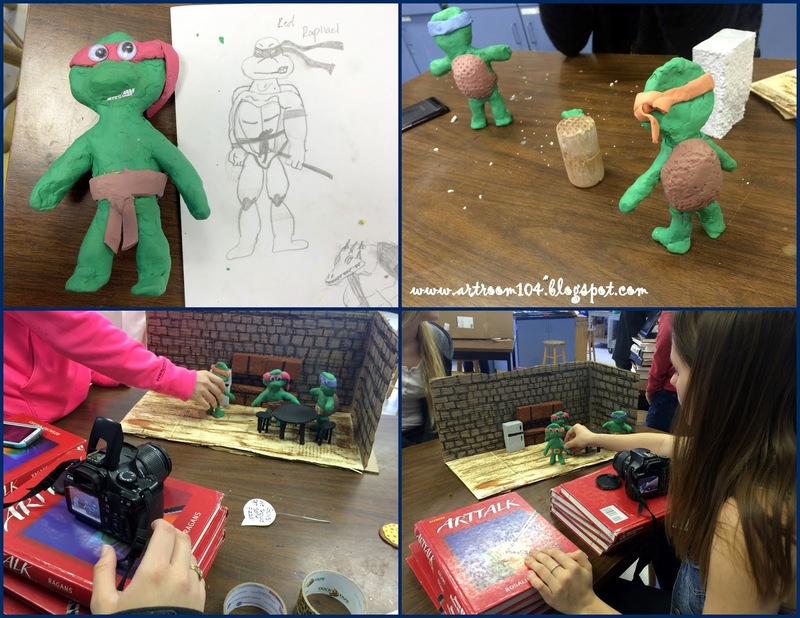 This project involved designing the characters and set, creating the story, directing the movie, and putting all of the photos together. 1. SWBAT identify the steps in creating a movie. 2. 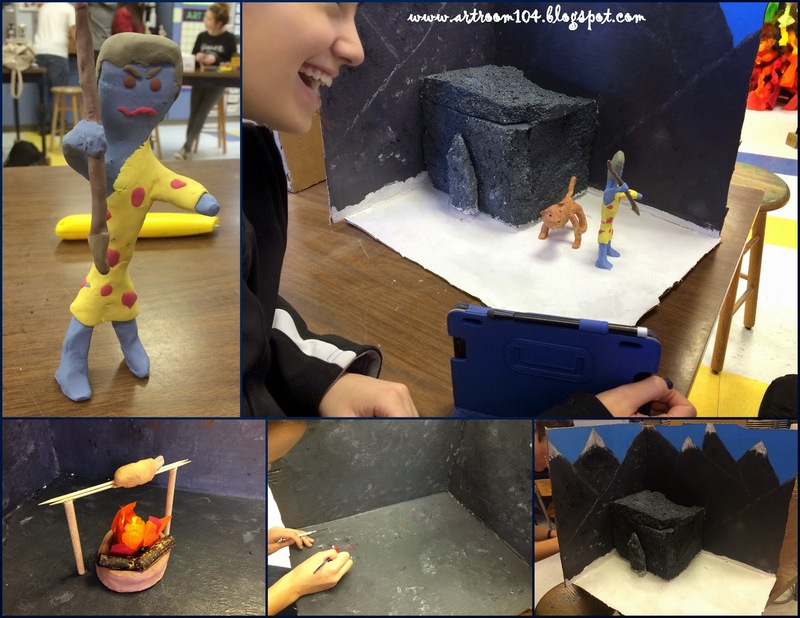 SWBAT sketch a character and then build the character out of modeling clay. 3. SWBAT use a digital device to photograph movie stills. 4. SWBAT create a movie using Windows Movie Maker. 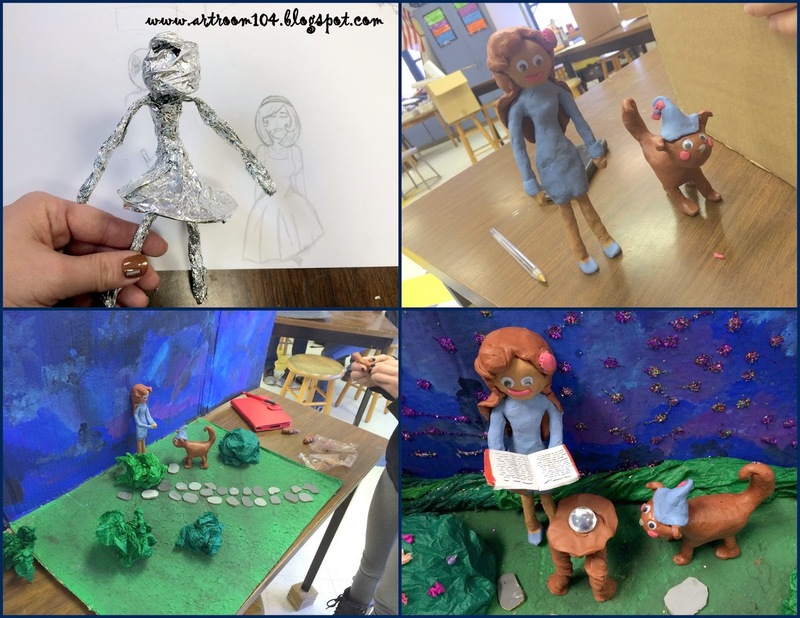 Day 2-4: Students create their characters by building a skeleton out of armature wire. Cover the skeleton with tinfoil to create some bulk, and then cover with the modeling clay. Day 13: Students upload all of their pictures into Windows Movie Maker. Change the length of all pictures to be .3 seconds (adjust as needed to make the movie slower or faster). Students can add a title and credits to their movies as well.